Western Crib Set. 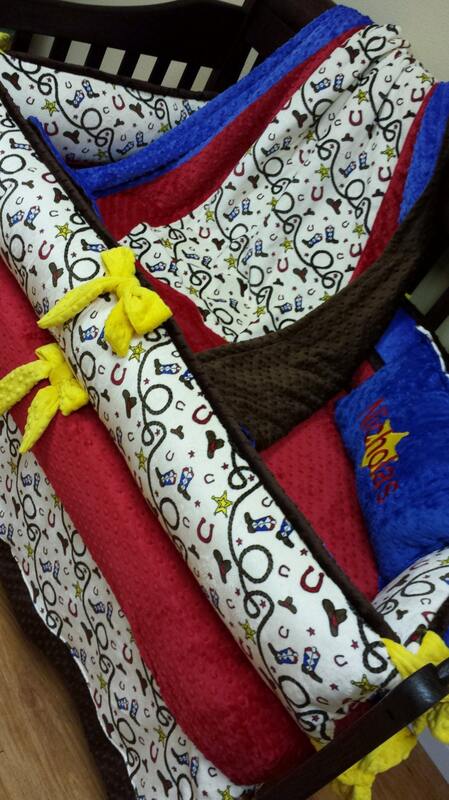 Cowboy Crib Set. You design. Several Colors Available. 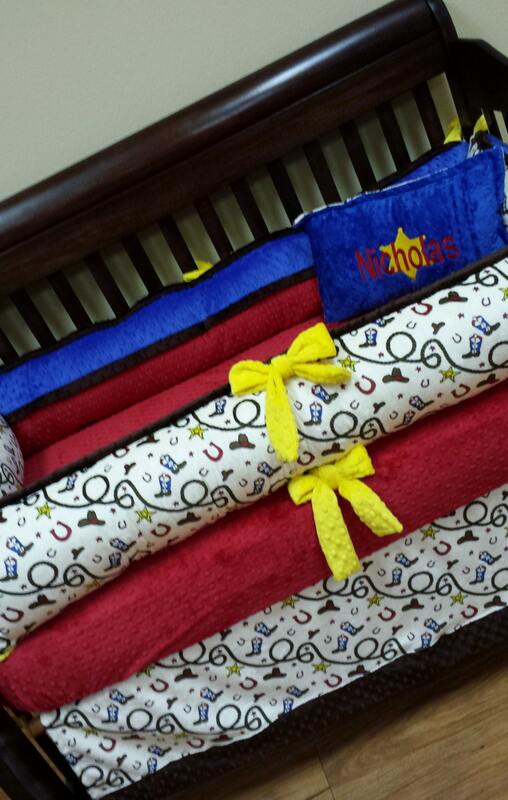 Cotton Crib Sheet - Most solid colors are available. Most popular is red, brown, or yellow. 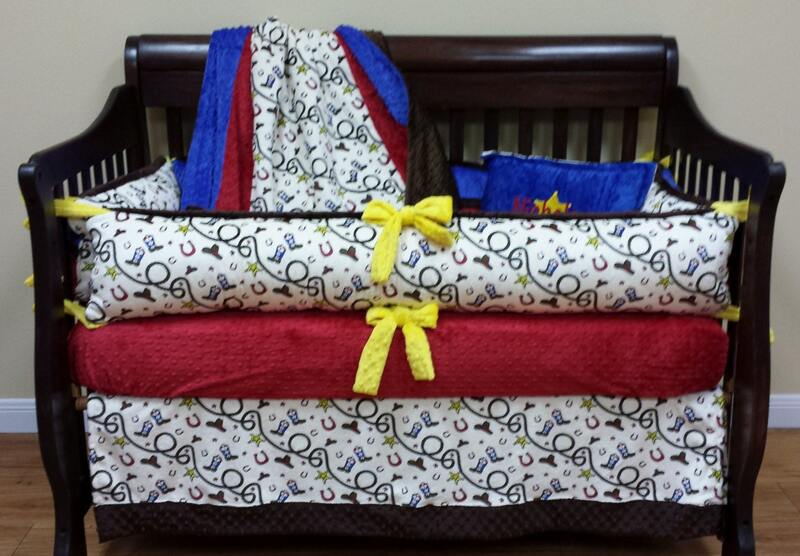 RED MINKY CRIB SHEET SHOWN IN PICTURE IS NOT INCLUDED. ITEM MUST BE PURCHASED SEPERATELY. Upgrade to a minky sheet for $16 or cotton sheet is included. THROW PILLOW SHOWN IN PICTURE IS NOT INCLUDED BUT CAN BE ADDED.